Pennsylvania has established an Action Team to address contamination associated with per- and polyfluoroalkyl substances (“PFAS”). The Action Team held its organizational meeting on October 18, 2018. PFAS substances were commonly used in applications that include surface coating of paper and cardboard packaging products, carpets, non-stick pans, and textiles, as well as firefighting foams. 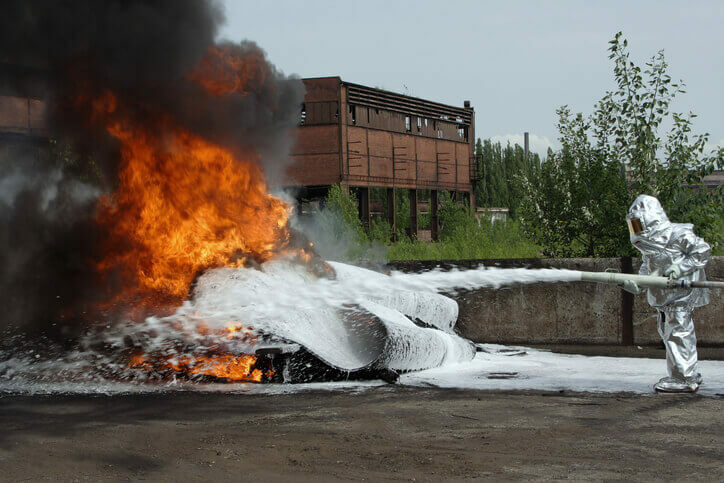 These substances have been detected in air, water, and soil in and around production manufacturing facilities, and airports and military bases that used firefighting foams. Companies began phasing out the production and use of several PFAS substances in the early 2000s, and two of the most well studied—perfluorooctanoic acid (PFOA) and perfluorooctane sulfonate (PFOS)—are no longer manufactured or imported into the United States. Despite the phase-out, contamination has been identified at 15 sites in Pennsylvania, each of which is being addressed by state and federal cleanup efforts. Future regulation of PFAS substances could have significant impacts on a number of industries and activities, including operators of public water systems, who may be required to test for and treat PFAS. Governor Wolf has tasked the PFAS Action team with developing a comprehensive response to identify and eliminate sources of contamination, ensure drinking water is safe, and manage environmental contamination. The Action Team is inviting proposals for expert presentations at a public meeting to be held on November 30, 2018. To propose a presentation topic for the November meeting, contact ra-epthepolicyoffice@pa.gov. The Action Team will take public comment through the Pennsylvania Department of Environmental Protection (“DEP”) eComment tool – https://www.ahs.dep.pa.gov/eComment/. DEP is currently developing a sampling plan to test public water systems and identify any additional systems with elevated PFAS levels in drinking water. Sampling will begin in early 2019, and water systems will be selected based on risk characteristics developed by DEP. Results will be shared with the public via the Action Team when completed.